You’ve made travel plans? Got everything ready? Is booking airline tickets the only thing left? Then the biggest task has been left for far too late. There’s no real shortcut to finding cheap airfare. You’ll have to look around for the best deal and try several booking sites. However, with just a little foresight and a bit of effort, you can get tickets as cheap as you get them. Where is the best place to look for cheap Australia flights? Should you book online? Are there any tips and tricks? 1. The price of an airline ticket goes up marginally just 21 days, 14 days, 7 days and 3 days before the date of flight. By booking prior to the 21 days cap before flight date, even three to six months early, you can get the best rates. 2. You can save a bunch of money by booking flights just a day or so before departure date. Check with airlines for spare seats. 3. Subscribe to weekly airline newsletters to know their best last-minute deals, or check out the deals on LastMinuteTravel.com. 4. Don’t book the first fare you find. Check sites such as Travelocity.com, TripAdvisor.com, CheapTickets.com, and Airfarewatchdog.com for the best deals. 5. Once you’ve done your homework, book your selected airline tickets online. Many airlines guarantee the lowest possible fares if you book tickets online. 6. While booking tickets online, check if the airline has any promotions, discounts or sales features for your destination. 7. If the prices are not within your preferred range, set up email alerts at a bunch of sites and wait for the alerts when prices reach your preferred rate. 8. It’s a tricky thing, knowing when to stop watching fares and deciding when to buy. Use a predictive site such as Bing Travel to understand whether you should book now or wait. Check sites such as Kayak.com to view fare history graphs for both international and domestic flights. 12. If you have frequent flier miles accumulated in your travel credit card or airline account, check with your airline in advance if they have any seats set aside for reward travel. You have to be proactive about this as these seats go early. 13. Fares increase as the flight date approaches and not the other way around. If the price of your fare decreases after you’ve purchased your ticket, you can ask for a refund. Airline policies differ in this matter, but you can always ask. Use Yapta.com to track drops in fares. 14. Several national airlines offer air passes to tourists to promote national tourism. These can come in useful, especially if you’re traveling to travel a lot within a country. Qantas airlines offers the Aussie AirPass for people who want to travel to different places within Australia. 16. Fares differ depending on the departure and landing airports. If your city has more than one airport and the same is true of your destination, don’t forget to check this out. Use Kayak.com, Travelocity.com and Orbitz.com to search neighboring airports and fare bargains. 17. One way trips cost more than round trip fares. Sometimes the fare for one ways can be more than double that of a round trip fare. Book round trip fares as much as possible to save money. 18. Check for freebies; sometimes airlines offer travel packages such as discounted car rentals or hotel rooms along with flight tickets. It never hurts to get something thrown in for free, does it? 19. Inquire about standby seats, or subject-to-load seats. Airlines have last minute cancelations or people who’ve reserved but don’t turn up. Most airlines also set aside seats for staff and last minute bookings if any. Check the airline reservation desk just a few hours before departure for the latest update. If you can make it to the airport on time in such cases, you can save a lot of money. 20. Purchase tickets through consolidators, either agents or consolidator sites. These companies buy airline tickets in bulk and sell them at a discount to help airlines fill up their seats. 21. Book flights on the same airline during your entire trip; you’ll be eligible to receive discounts for round-trip or connecting flights. 22. Book tickets on Low Cost Carrier airline companies which offer you low fares by cutting off traditional passenger amenities. You may lack for a warm blanket, a water bottle and your customary glass of wine, but you can save a great deal on the flight fare. 23. Get yourself one of those credit cards that offer reward programs. Accumulate reward points to buy free flight fares. 24. Buy airline tickets on Tuesdays at 3 P.M., Eastern US Standard Time, to get the best deal for domestic US travel. 25. Even if you are traveling as a group, book tickets individually for each person. This is because Airline reservations systems are mandated to offer the same price, most likely high price for everyone within the group. This is irrespective of the availability of cheaper priced seats. 26. 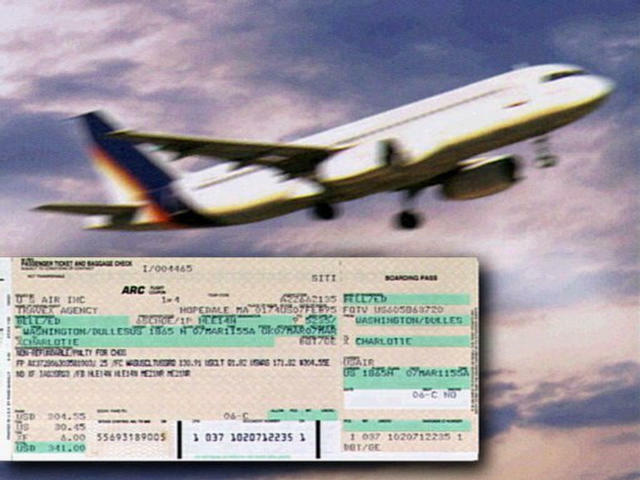 Avoid travel on days when airlines charge peak travel surcharges. This happens when seats are few, especially during summer. When airlines are positioned at the good end of the curve, they will charge a premium for all seats. To avoid this, watch the trend using airfare prediction sites. 27. Check with different airlines for last minute specials and deals for off peak time travel, such as roundtrips from Saturday to Tuesday or Thursday to Monday. Teena works for gift ideas company Adrenalin that offers a large range of driving and flying all across Australia. Check Adrenalin.com.au for exciting and unique Father’s day gifts ideas. Lots of great information there. I didn't realise there was a specific day and time when domestic US tickets were cheaper.